Single palette eye colors for free expression! 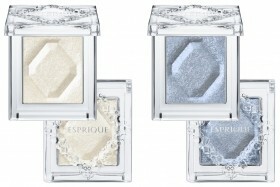 Eyeshadows that capture the brilliance of diamonds for bold color and luster that lasts up to 10 hours. Diamond Glow Powder gives the eyeshadows an exquisite glimmer, for a trendy, glamorous look that takes you from work to play. 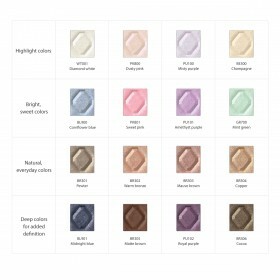 Amino Acid Powders adhere snugly to give long-lasting color and a fresh look all day! Contains moisturizing ingredients to prevent eyelid dryness. Applies smoothly and blends with ease. 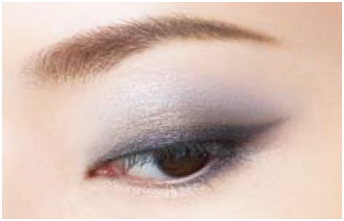 Pair a shade of your choice with a highlight color for sophisticated, dimensional-looking eyes. Combine four colors for a glamorous full-gradation.